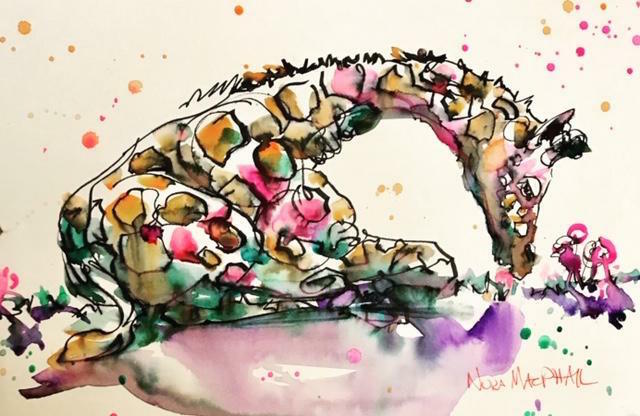 NORA MacPHAIL - ARTIST: just a nibble and... back to originals! just a nibble and... back to originals! Well, that's it for another Inktober. Working with the Elegant Writer Pen was an absolute joy. It's water-soluble nature made the dark colourful inks merge with the watercolour beautifully. Beautiful little piece Nora! So colorful!